This plush is set to be released on 18 July 2014 in Japan at very limited quantities. Rilakkuma is holding to a fan on one hand and the other a stick of dangos! Really gotta love the creative brains of San-X making all these cute plushies designs. 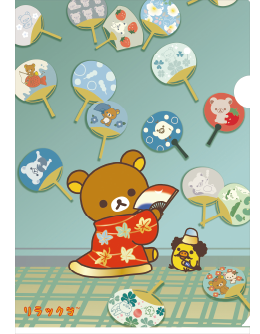 We love the Kiiroitori print on Rilakkuma's costume but it is a pity that Korilakkuma is not on this series. Even so, we are still getting one for ourselves! Can't wait for them to arrive so that we can share our photos with you guys!